If your annual card turnover is less than £10,000 per year, then a traditional terminal rental agreement may not be your most cost effective option. There are now mobile point of sale (mPOS) devices available which you can purchase outright and which have no monthly rental fee or minimum monthly service charge. The mPOS devices “pair” with an iPhone/Android smartphone or tablet by bluetooth. The individual transaction charges are higher than a traditional terminal and most require upfront purchase of a device, but if your transaction volume is low then overall, these options are a cheaper way to accept cards. There are no lengthy contracts or monthly charges other than for transactions processed. 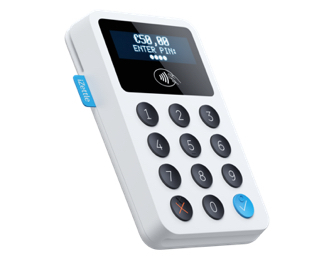 We have partnered with the best mPOS suppliers to present you with a range of devices to choose from. Here is a summary of the costs, scroll down for more detail on each device. iZettle is payments made easy. The social payments company’s services are always secure, fantastically fast to set up, and super simple to use. The first iZettle service was launched in Sweden in 2011 and is now available to individuals and small businesses across Sweden, Norway, Denmark, Finland, The United Kingdom, Germany, France, Spain, Netherlands, Italy, Mexico and Brazil. iZettle continues to help more entrepreneurs and small businesses accept payments and manage their business with their mobile point-of-sale solution (mPOS) – for a fraction of the price of traditional card terminals. 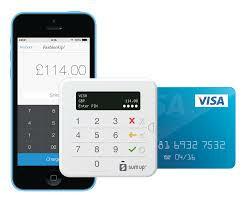 You only need the free iZettle app, a card reader and an iZettle account to get started accepting card payments. iZettle has no start up fees, monthly fees or similar. You only pay a transaction fee when you get paid. iZettle is an E-money Institution, and as such, under the supervision of the Swedish Financial Supervisory Authority. iZettle is approved by EMV (Europay, MasterCard and Visa) and adhere to the requirements of the global “Payment Card Industry Data Security Standard” (PCI DSS) for handling card data. 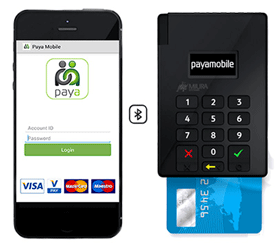 Award Winning Value for Money With Payamobile you get so much more for your money – a full multi-channel service including face to face, telephone, online and email link card acceptance. Since launch in 2010, we have attracted the attention of the industry, winning two awards – Best Technology Initiative and Best Multichannel Payments Solution. We pride ourselves in offering exceptional value for money and a personalised service to small businesses. SumUp was launched in 2012 and has since expanded into 11 countries across Europe and is now expanding globally. It has over 140 staff with major offices in London, Berlin, Dublin and Moscow. Its shareholders include American Express, BBVA Ventures and Groupon. In April 2016 it merged with Payleven and the enlarged group currently processes more than EUR 1 billion of transactions. The company is authorised as a Payment Institution by the Financial Conduct Authority (FCA) and is Europay, MasterCard and Visa (EMV) and PCI-DSS certified, ensuring that payments are processed in accordance with the highest security standards. Upgrade: for larger merchants there are discounted fee packages. The Business package (up to 15 users) costs £26.99 per month with transaction rates of 1.85% + 20p and the Enterprise package (up to 50 users) costs £89.99 per month with transaction rates of 1.75% + 20p. There’s no contract, and you can cancel at any time. Use Coupon Code CARDSWITCH20 for a 20% discount for 6 months. SmartTrade was founded in 2013 by technology entrepreneurs Keld van Schreven and Catherine Woolgar aimed at solving the problem of making it quicker and easier to take cards and going fully paperless for Small businesses. The SmartTrade App is a remarkable new mobile app to take credit and debit card payments without an expensive credit card reader, or merchant account. Thats where the magic starts as SmartTrade App handles all the paperless paperwork to run a company, and even integrates into accounting software. Using SmartTrade App to take card payments from customers and sort paperwork is much easier than the current alternatives such as iZettle, Square or CardStream as there is no card reader to break, or pair with your phone, its just an app. 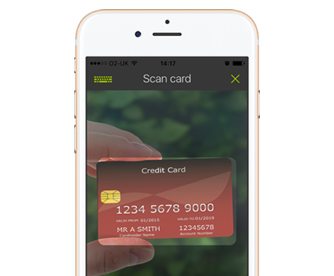 With the SmaartTrade App you can take cards over the phone, give paperless quotes and sync with accountancy packages. SmartTrade App is based in Shoreditch London and backed by well known technology investors. SmartTrade App is the winner of the Best Mobile Payment Solution at the prestigious 2016 Payments Awards.